No blogger makes their income exactly the same way another blogger does. The best way to make money blogging is to have several different streams of revenue coming in. The most common ways bloggers make money are sponsored posts, affiliate linking, ads, and selling their own products. I have nothing against sponsored posts and definitely want to work them into my stream of income, but currently my blog income comes from affiliate links, my own products, and lastly ads. I’m going to share with you what’s been most successful for me in each of these ventures. Affiliate linking, done the right way, can bring you a lot of money every month. My most successful affiliate platforms have been Shareasale, Bluehost, and Amazon Associates. Shareasale is a platform where you can sign up to be an affiliate for lots of different companies and brands. I make the most sales through promoting the design I have on this blog, the Flourish Theme from Restored 316 Designs. I have used this theme for over a year now and really love it, so it’s easy for me to promote since it’s like a walking advertisement. Whoever you bought your blog theme from probably either has an affiliate program or is on Shareasale. Bluehost is the most popular web hosting company for WordPress. They’re easy to recommend since WordPress has them in their top choices for web hosting and my own experience with them has been good. The easiest way to incorporate Bluehost affiliate links into posts that will make money is to write an article on how to start a blog or your reviews and experiences with web hosting, for example. I have a post called Everything You Need to Start a Self-Hosted WordPress Blog which is actually this blog’s money maker (as far as affiliate linking goes). I update that article frequently, I’ve created step-by-step tutorials, and I’ve shared my experiences and blogging-related purchases I’ve made myself. It’s a win-win post for both me and my readers because I’m sharing the knowledge and experience I’ve gained in the last 5 years of blogging, and in return I get compensated for any purchases that are made through my links. I don’t make much on Amazon ($110 this month, which is actually the most I’ve ever made with them in one month) but I link any product I mention that can be purchased on Amazon because you never know when affiliate income can take off. I have a blogging colleague, Carolina from Mama Instincts, who has done really well with Amazon Associates. Here is a perfect example from her blog (although this article is more link-y than her normal posts because it’s an informative article on a particular subject). She is personally a huge advocate for non-toxic products and went in search of the best non-toxic play mats she could find. 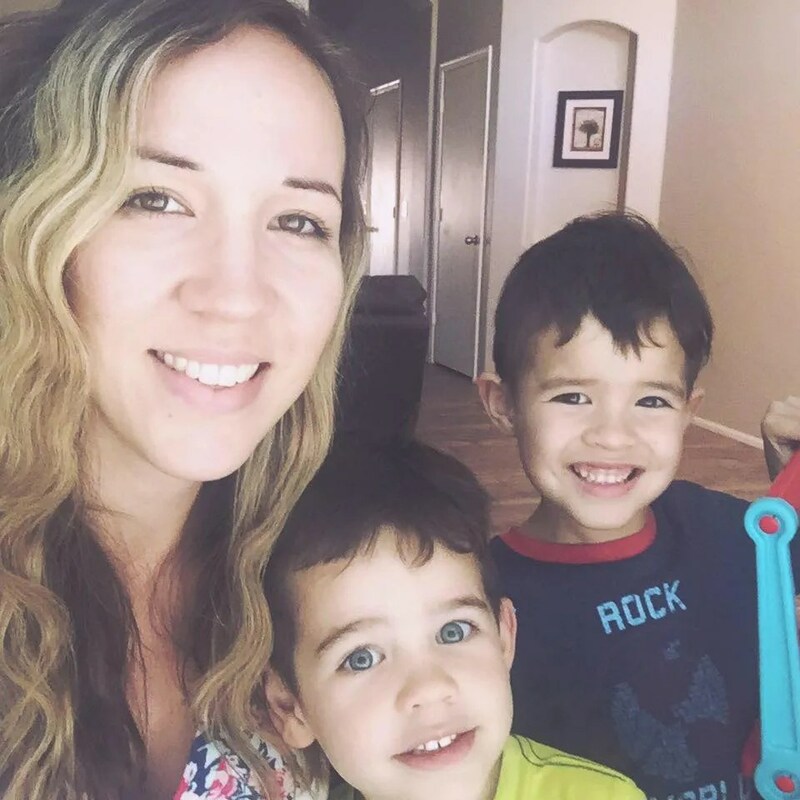 She shared this information on her blog to help other parents and without her even expecting anything, this article became very successful. It’s an extremely helpful post with a lot of research done on her part to find out what was in all these different mats, and so it rose to the top of Google search results for people looking to read more about non-toxic play mats. This is the best way to make money in general with affiliate linking: be super helpful. It’s not enough to just say “click here, buy this cool thing”. Tell them why they should and let them know if you have purchased it yourself or not. Another very simple way of making passive income from affiliate linking is creating a resources page on your blog where you share links to products you love and use. As a reader, I actually LOVE finding a resources page when I come across a blog I’m into because I want to know what they’re using, what they’re reading, where they got this or that, etc. One more thing to note about affiliate linking: SEO doesn’t really gain traction until around 10 months after the post has been published. That means that for 10 months, your post may not make a cent and you’ll think it was a failure, but you might be pleasantly surprised several months down the road when you start making money off of that post. Not all posts will be winners, but when you get one that does well, it’s awesome! My post on starting a self-hosted WordPress blog didn’t make a penny until around the 6-8 month mark; sales started slowly trickling in and then it became multiple sales a month. Ah, now this is where so many bloggers can make their bread and butter. My only regret is that I didn’t create products sooner than when I did. I’ve created two products: Anything Can Be and Sacred Self-Care for the Highly Sensitive Mom. Both are guides that come with a printable/worksheet bundle because I’m personally a worksheet whore and can’t imagine creating anything without including some worksheets with it. Now, here’s what I’ve learned as far as selling them. I started out selling my first book, Anything Can Be, on Amazon for $2.99. That hurts the soul even to type it out now. The theory I had read in books about selling books on Amazon was that $2.99 is a perfect price because it’s so affordable and you’ve got this massive Amazon audience. Butletmetellya, that’s not how it always works. I got sales, sure. But I was only making $2 a pop. If I could re-do the whole Amazon thing, I would’ve priced the ebook for at least $9.99 and the paperback at $15. Best-selling books may be cheaper than that, but they’re selling waaaay more copies so it’s worth it for them. Indie authors don’t have that kind of platform usually so you need to charge more in order for it to even be worth your time and work. My revelation moment came when I finally decided to pull my book off Amazon and sell it myself through Gumroad. I first priced it at $15 and didn’t get many bites, but this inner voice kept putting $22 in my head. I thought “well, I don’t have anything to lose.” I started getting consistent sales after I upped the price to $22. So, I went from making less than $100 off my book a month on Amazon to making hundreds of dollars a month selling it at almost twelve times the original price from my own blog. I recently added my second product, which I currently have priced at $18 but will likely raise that up as well. People like value. Don’t undervalue your products. Just a super quick tip on this subject since this could take an entire post or book or even course to really elaborate on, but everyone has expertise in something. You don’t consider it expertise because it comes easy to you or because you’ve known how to do it for so long that you don’t even realize how much you know about it. If someone had an entire month with me, what could I teach them about a particular subject? If they had a week with me, what could I teach them about that subject? If they had a day with me, what could I teach them about that subject? All three of these questions help you to whittle down your product and give you some starting ground. If you have no products, start with something small that you can make in a short amount of time. My first book took me 4 months to write and my second one, which is almost the exact same length, took me one week. I wasn’t so skittish the second time around and just wrote the damn thang! Creating a product doesn’t have to take a long time. There are so many tutorials on Pinterest for creating a product for your blog in anywhere from 3 to 30 days. You can do it and I highly suggest you do. Last and (also least), I make money from my blog through ads. Here are the ones I’ve had and currently have, and what I think about them. When I was handling my own ads, I never really made that much money, but Adsense is the best to use if you’re putting ads on your blog yourself (or Amazon CPM ads which I mention below). No. Just no. My contract is up in July and I will be leaving. They do not pay blogger’s what their ad space is worth in my opinion. I have one BlogHer ad in my side bar and it made me a whopping $15 this month with 130,00 page views. I heard some great advice once that said if an ad in your sidebar is not making you at least $100 a month, it’s not worth it. I would say if it’s not making you at least $50 it’s not worth it. These are nice because you can tailor them according to what you’re writing about in your post, like I just did with blogging books for this article I’m writing for bloggers. Once your blog gets a certain amount of page views a month, you can apply to ad networks to have them manage your ads for you. They take a percentage of your earnings but in theory they’re supposed to watch your ads like a hawk and see which ones do best and which placements are most successful for your blog. I’ve been with The Blogger Network for a few months now and I’m not super impressed. I’ve never seen them change my ads around and there are bloggers with page views similar to mine who make a lot more money a month from their ads. Not sure on these guys yet but I just recently applied to join their network so I thought I would share them in this post. I’ve heard great things about them so we shall see. So now you’ve seen behind the curtains on how I personally make money from blogging without writing sponsored content. There are so many ways; one blogger’s affiliate linking will be their honey pot and for another blogger it will be their own products. The main thing to remember is to just set all the streams up because you never know which one will take off! Jessica Dimas is the creator of “The Successful Blogger’s Ultimate Tool Kit“. Follow along on Facebook and Instagram to stay updated with future posts. Seriously great post Jessica. I’m thinking of taking a step back from writing and focusing on improving things on the back end so, like my ads and updating old content for SEO. Thanks Tiffany! Yeah I can’t believe what a difference it made for me when I took a step back and improved things on the back end. I re-did almost all of my photos and my traffic has quadrupled three times over. It’s so worth it. Any advice for people thinking about starting a blog? I want to but I’m not even sure where to begin……. If I were just starting a blog…I would pick my platform (WordPress would be my recommendation), set up my blog, and just start writing. I would probably like to write down some goals about what I want from my blog, what I want to write about, read all I could about blogging. It’s really really REALLY addicting and fun. It can seem overwhelming but it’s not. Join some blogging groups on Facebook, those are super helpful as well in learning the ropes in the blogging world. Great tips 🙂 how many pages is your e-book out of interest? I’d really like to do one in the future but have no idea how long others are. Thanks for the great post. I just got started blogging about a month ago, so this is all super helpful!! 🙂 It is a ton of fun, and I can’t wait until it’s more established. Thanks for sharing. PS, I love your site. Thanks Lina! Blogging is seriously a borderline addiction for me, it’s SO fun. Good luck and thanks for your comment! I have 2 very small workbooks (less than 10 pages) on Gumroad, but am currently working on a bigger eBook/workbook. (I am the same way with worksheets!) I decided that Gumroad is the way to go even though you see so many articles about getting on the best seller list after pricing an eBook SUPER low or free and then going from there. I decided not to go that route and your example set it in stone for me! I find pricing interesting. I even experimented with Pay What You Want Pricing (the buyer picks the price) on a small workbook and was fascinated with the results. The average person pays more than the $1 minimum I set and it sells much better than my $4 printable workbook. Yes, I find pricing so fascinating too. I still can’t believe sometimes that my book sells much more copies than it did at $15 or even when it was selling for way less on Amazon. I will never price super low again on Amazon if I put anything on there in the future. That is super interesting about your experiment with the Pay What You Want pricing. I’m almost not surprised now that I know people like to pay more for things they find valuable! Jessica, I just purchased Anything Can Be! I’m super excited to get started on it. Question on this post- are you comfortable sharing the percentage of income that each of the streams provides? Are your ebooks your largest percentage of the whole? I’m really wanting to pursue blogging as an extra income, but I’d just like to have a better idea of what is possible. Thank you so much for all the great information! Definitely pinning this post! I’m working on becoming a more consistent blogger, and I have thought about working on an ebook. Thanks for sharing both the good and the bad things that you have learned from your experiences writing and selling ebooks. I’m working on being more consistent again myself. I fell off the wagon for a bit. Write the ebook, you won’t regret it! You’ll only regret not writing it sooner! Excellent post! Thanks for very clear, concise info on revenue streams. I struggle with each and I know I don’t promote enough! But, I’m determined that it will all come together soon and work hard every day to make each post I write better and better. Pinning…and will check back often! Thank you Carole! Sounds like you are on the right path, you sound dedicated and determined. I am also not great at promoting, although I do find Pinterest much easier to promote on since there’s no “feedback” like on Facebook or Instagram. Good luck!! HI! Thanks for the informative article- as far as selling downloadable PDF’s/e-books. Are there specific blogging platforms that can enable a checkout/download? Or a widget/app? Hi Jen, yes WordPress and Squarespace. WordPress you just need the Woocommerce plugin and any other plugins that might need to go with it depending on your theme/framework. Hi! This is one of the best posts I’ve ever read on making money blogging (specifically without sponsored posts). I’m hoping to avoid sponsored posts all together, and I’d like to think it’s possible. I’ve just been accepted to adthrive and I’m working on my first ebook, which I know will only appeal to about 15% of my readers… but I really appreciate your advice on it! I will just DO it and get over myself lol. Jessica, I’d just like to thank you! I feel as though so many blogs do post like this but they’re so general. You actually went into detail and actually gave us ways!  I’m currently looking into all of these in hopes to take my blog to the next level. Thank you again!! Hi Christina! Thank you for saying that, yeah I love transparency and appreciate it when I find others doing the same. It’s definitely fun to play around with and see what works best for your blog! Thank you for the helpful post. As a new blogger I find it difficult to find places to write sponsored posts so getting tips on alternate ways to create an income stream is very helpful. Someday I hope I feel confident enough to create a product or a training I can offer others, it certainly is something that is on my bucket list. If you keep at it with blogging, you will definitely feel confident enough to create a product or training before long. It’s truly amazing and quite addicting to sell your own product from your blog; I love waking up to emails alerting me of the sales I made overnight while I was sleeping. Just remember, you don’t need to be an expert at anything, just a step ahead of where you were because there are always people who are in square one and could benefit from your knowledge. Good luck!! I’ve avoided ads (and always will), but you’ve got A LOT of great ideas in here! I’m very slowly stepping away from coaching, and am transitioning to 100% passive income. Sales from my low-cost product store have been great, and Amazon Affiliates is okay (about $30-$100/month). But you’ve provided so many bonus ideas! I’m so grateful! Cross your fingers I’m running 100% passive income by March 2017 (with a new course launch, too). I have done few books Amazon 3 of my books and I havent sold anything from my website, your post is very inspirational and I am going to continue to do that. Thanks. What ad network would you recommend the most for a beginning blogger?